There aren’t many industries where having your product described as tasting like “Skittles from the vending machine at a high school football game” is a compliment. 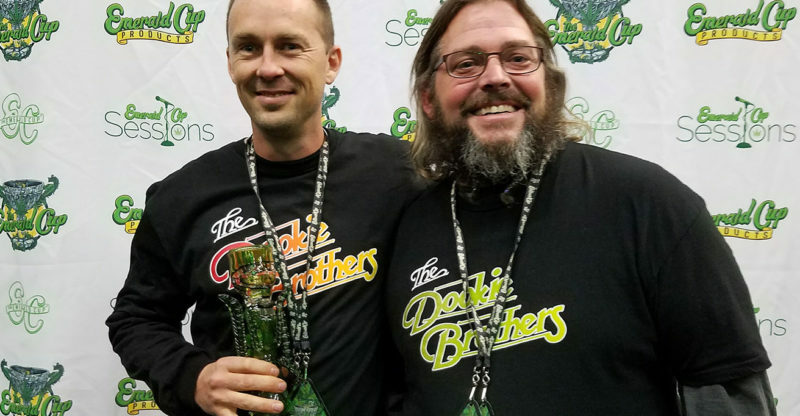 But for the Dookie Brothers, whose marijuana flowers were awarded top honors at this weekend’s Emerald Cup event, it was apropos. Their cannabis strain, called Zkittles, is described as having a sweet, tropical fruit flavor and smell. The Humboldt County grown marijuana was one of dozens of big winners this weekend in what many consider the Oscars of the cannabis industry. “I knew when I smoked it, that was the winner,” said Pearl, a judge for the category of “flowers”, which had more than 650 entries. She and other judges at the event sampled each of the entries over several weeks for taste and effect, narrowing to several hundred entries, and then the top 20. “This one, Zkittles, gets you really high,” she said, dressed in a green robe backstage. Getting tapped as an Emerald Cup winner out of the 1200 total entries this year can bring instant notoriety to farmers and producers who have, for decades, remained hidden in the shadows due to state and federal laws. A winning product can command premium prices at dispensaries, according to organizers, and growers or producers are often sought out for their expertise. Though Northern California’s growers have long been revered by industry insiders, the recent legalization of recreational cannabis in California, is starting to open the door on this multi-million dollar agricultural industry. “This was only our second event,” said Jason “Dookie” (who declined to give a last name). “I’ve been doing this for 25 years, and I’m just so passionate. It’s all kind of surreal,” he said. “It’s just unbelievable,” he added, standing among photographers and media. “I just wanna get high now,” he said. Zkittles is an indica-dominant strain bred by 3rd Gen Family and Terp Hogz. Held over two days at the Sonoma County Fairgrounds, the Emerald Cup is one of the nation’s largest marijuana competitions. The event began more than a decade ago as a celebration of Northern California’s annual outdoor cannabis crow, held secretly at remote family ranches in Humboldt County. The event has grown into a festival attracting an estimated 30,000 participants this year for a weekend of music, speakers, and vendors selling everything from pre-rolled joints to state-of-the-art trimming and processing equipment. “I’ve seen more change in the last two years, than I have in the last twenty or thirty years,” said Tim Blake, the organizer of the event. 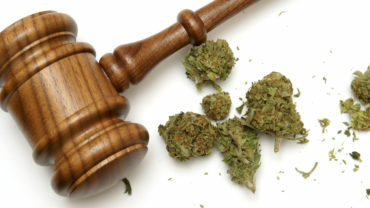 Currently only adults with medical marijuana recommendations are allowed to legally buy or smoke marijuana at the event. But with the passage of Prop. 64 in November, Blake anticipates even bigger crowds for future events. “People just don’t understand the size and scope of all this,” said Blake. Another winner was equally excited to win first prize for his entry. Under a cloud of purple smoke hanging inside the Pavillion, Todd Franciskovic of Resin Ranch nervously held a glass award for “Best Dry Sieve”, not quite knowing what to say. “This is such a huge personal accomplishment. I’ve only been out here (in Northern California) a year. And it’s been a rough year,” he said, standing next to Mendocino Farmer Joey Burger, who grew the cannabis Franciskovic distilled into a powerful concentrated form of marijuana. Franciskovic moved from Wisconsin to Northern California this year to pursue concentrate making. “This is huge for me,” he said. “But unfortunately you have to win one of these,” he said, holding up the award, “to be able to sell at this price point,” he said of the $120 per gram concentrate that is grown organically in Northern Mendocino County. Other winners of awards for topicals, edible cannabis products and several other categories thanked parents and friends, tearfully making tributes. “I made this for my mom and grandma,” said a winner, tearfully, in the topical category, waving at her parents in the audience. The awards weren’t without some challenges. Testing of the cannabis products for a variety of contaminants by Santa Rosa’s SC Labs was one of the promises for this year’s awards after a large number of contestants failed contaminant tests in 2015. Organizers planned to reveal the results of the tests online and disqualify any product that did not meet testing standards for pesticides. “We had a 50 percent increase in entries, and we extended the deadlines a few extra days. We can say no one failed in the top 20 flowers,” he added. Blake also said the event may be outgrowing the fairgrounds space after several hundred attendees were turned away from a music performance last night by Fire Department officials. “Adversity is tough,” he said. “But it makes us grow. I’m proud of what we’ve done,” Blake said.